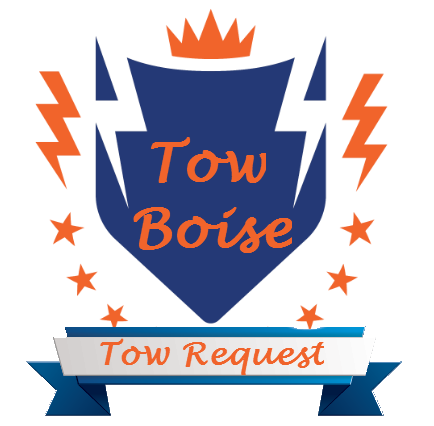 ​​Welcome to Tow Boise a full service Towing and Roadside Assistance service in Boise, ID. ​Our tow operators are trained and experienced in all types of towing or roadside assistance needs. We operate throughout Boise, Meridian, Eagle, Garden City, Nampa and the surrounding Treasure Valley areas. Our tow fleet can handle all your Medium and Light Tow Service needs! With our fast and courteous towing service you can count on Tow Boise for all your needs rather in an emergency roadside assistance or scheduled towing service, we get the job done! Tow Boise handles small jobs and big jobs with the same care and expedited service. Rather you need to tow a motorcycle, car, truck or boat. Towing in Boise has never been easier! Have you been in a collision and need a vehicle towed? Have a flat tire but no way to change it alone? Need that vehicle moved to the shop for repair? You can count on us for all your towing and roadside assistance needs rather you are in Meridian or Boise, call today for the best towing company in Boise! We handle our customer’s vehicles like they were our own with care and passion. We have the experience and equipment to provide a safe, reliable and affordable towing service here in Boise. We know you can call a number of tow companies here in the Boise Valley. ​We know through our quick and professional tow service response we will win your trust for years to come. Our Tow Trucks can help with all your Medium and Light-Duty towing needs. Our friendly experienced staff to include our Roadside Hero’s, drivers, can help tow you out of a ditch or help with your flat tire. Tow Boise is equipped for fast response time in your roadside assistance needs! Need Gas? We’ll be there in a Jiff! Need a Tow Truck in Boise? When an Emergency happens rely on Tow Boise to help you! Rather you got stuck in the ditch on an icy morning or a fender bender in Meridian, ID. Our Emergency Towing Service is quick and responsive. We get to your location as fast as possible. We’ve all been in these situations and know having someone to call and help is huge! Tow Boise approaches every client with care and compassion in the quickest time possible. Our fleet of tow truck can help in any medium and light duty towing requests. We Can Help! Our local Boise Towing Service treats all our clients as if they were our neighbor. Chances are it’s the case, and if not, well that’s how we operate. Rather you need to Tow your Classic Car across town or to an event. Maybe you need to Tow that in laws car that’s been sitting in the driveway before weeds overgrow it? Yep, we can help! We approach all of our towing requests are handled with the same care and professional approach. We care about the Boise Valley and thank all our neighbors for the opportunity to help! Tow Boise is equipped to handle all your Medium Duty Towing needs. This category is for vehicles in class 3 through 6. Some examples would be Utility Vehicles, Refrigerated Box Trucks, Motor Homes and vehicles in or around the same size. Rather you need a to tow your RV or Delivery Truck, Give us a call. We’ll get you out off the road and in a shop in no time! Our Towing Service in Boise is fast and professional. Light duty towing is our most used towing service in the Boise Valley. This service would include most Cars and Pickup Trucks, as well Vans and Sport Utility Vehicles’. Out towing fleet is equipped with the necessary truck and experience to help no matter your needs. We approach every client like a neighbor and every job with passion. Give us a call today! We handle all types of towing needs. You need a vehicle towed out of the barn? Maybe the car doesn’t run the tires are shot and it has to go… Give us a call we can help! 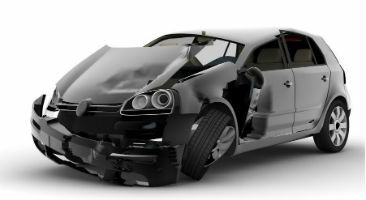 We work with most Insurance Companies, and take the headache out of the process. If you don't have full coverage on our towing services or Roadside assistance. Don't worry we are affordable and wont break the bank! We’ve all been there just as you were heading out to the appointment you cant miss, Boom! The tire blows out and your stuck! Maybe you tried to stretch those tires a little too far and they shredded on I-84, yep been there too. Don’t bother with the painful and sometimes dangerous task of changing your tire roadside. Give us a call, we’ll have it done in no time! Rather you lost your jack or just don’t know the first thing about changing your tire, our tow operators will get you back on the road in no time! Give us a call today! Isn't that Perfect, you’ve just left the gym and your car won’t start. Better yet the grocery store with a full car of kids. Give Tow Boise a call we can help! We get these calls all the time and are always glad to help our neighbors. This may be a battery issue or something else, if you just need to get it started and get back on the road, our emergency roadside assistance is perfect! Give us a call now and get back on the road! One of the worst feeling in the world is just as the door closes you realize the keys are still on the dash, and bang the door just locked. Maybe your electronic key failed and you need a replacement? How ever you got locked out, Rely on Tow Boise for a fast professional experience.